My first perspective comes from Mike Hicks, CMO of Igloo Software. Mike has held a variety of leadership roles at integrated communications agencies and global enterprise software companies and he understands peoples’ desire to gravitate toward podcasts as a new and shiny communication vehicle. Chris- What potential benefits can organizations gain from deploying internal podcasts as a form of transparency and communication with employees? Mike- Podcasts can be an effective way to communicate to employees in any organization. Millennials and Gen Zers are demanding more accessible leadership, and podcasts provide a medium for executives to reach all employees efficiently. Recognizing that this type of communication is largely one-way, podcasts are most effective when they’re part of an integrated communications plan, anchored by a digital workplace communication solution, like a News Room or Leadership Corner. As new generations enter the workforce, employers have to understand and appreciate preferences for communication tactics, channels, and mediums. 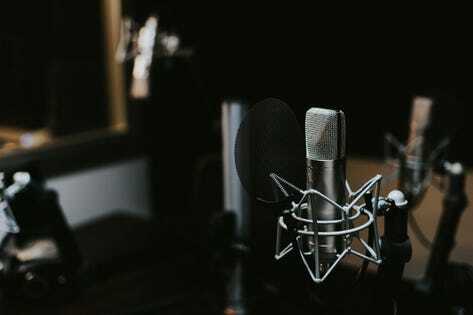 Podcasts have risen to popularity thanks to the medium’s storytelling capabilities and ability to create communities around niche topics, making it one of the preferred methods for younger generations to take in information. Studies from LinkedIn show that 42 percent of people between the ages of 18-34 listen to podcasts at least once a week. When done right, employers can leverage the rise of podcasts and effectively communicate with their workforces. CC- What aspects of this approach make it one that is not a really good fit for some organizations? MH- Communication must be driven by company culture and employee preferences. Some workforces might not be that interested in communication via a podcast medium. While podcasts provide a strong opportunity for organizations with dispersed workers – as it’s a way to get in touch with every individual – an office used to face-to-face communication from leadership might be turned off by podcasts because it could actually come off as having a more disconnected and a less accessible executive team. CC- What are the key factors in determining whether or not this approach may be a good fit for your organization? MH- The best way to decide whether or not podcasting is the right fit for your company is by directly asking your workforce. Anonymous surveys are a great tactic for understanding the overall sentiment toward company changes. Secondly, evaluate the current level of accessibility by leadership. Is upper management usually available to all company employees, or is it difficult for most employees to reach executives? If a podcast approach will make messages from leadership more accessible for every employee in the organization, it’s probably a good fit for your company, and won’t be overly time-consuming for leaders to participate. CC- What was is about Trader Joe’s podcast that made it so wildly popular? MH- The Trader Joe’s podcast was successful because it provided listeners, also employees, with value aside from a corporate update through the use of storytelling. In addition to an update on company happenings and releases, it offered practical advice around its products, like how to keep foods good for longer in the freezer. Organization leaders have to remember that employees don’t necessarily want to spend their free time hearing about their company via podcast- you have to make it interesting and provide value to your employees in a unique way. CC- If internal podcasts are not a good approach for an organization, what other options might they consider? MH- Most employees today just want an easy way to connect with the information, people, and processes they need to get their jobs done, so before employers look into specific channels like podcasts or video, consider providing employees with a single digital destination where they go to start their day. From there, employers can experiment with communication solutions like a leadership corner, virtual town halls, as well as communication app preferences like instant messaging, and more. It’s all about understanding the best communication and collaboration tactics for your company culture, and digital workplaces make it easy to fine-tune your organization’s communication strategy. Combest adds that while video can also be effective, the time and energy it takes to produce video can be somewhat of a turnoff for busy executives. “In the two to three hours it takes to do a video shoot, we can record five to ten podcast episodes which can then be shared with employees over a period of weeks or months,” Combest suggests. While podcasts may not be the best approach for all organizations (Combest suggests that smaller organizations can accomplish the same intend simply by bringing people together live), they may have their place in organizations that are large and/or have employees who are geographically dispersed. Here are a few things for you to consider before jumping on the internal podcast train. Content is king. There are a lot of ways to get creative with a podcast. Ways that actively engage employees in the production process and that help them to make it something that they have their fingerprint on. Don’t waste that opportunity. Finding a variety of high-quality content based on what your employees are interested in is a critical first step. Don’t just push policy. An internal podcast might be a good opportunity to share updates on policies and procedures (occasionally) but people aren’t going to tune in regularly without a variety of interesting content. “People want to listen to their leaders share success stories. They want their leaders to help them understand that they are a part of something bigger than themselves,” Combest shares. Provide time at work to listen in. As much as you think your company’s internal podcast deserves awards and accolades (and it just might), don’t assume that people are going to want to tune in on their off time. If you are going to invest in internal podcasts as a communication vehicle, make sure you make them accessible for employees during the workday. Some organizations embed them in login dashboards so that employees can listen to them first thing in the morning. Measure engagement. As with any investment of resources, you’ll want to make sure that whatever method you are using to push your podcast content to your listeners, that you have a way to measure the impact. If things aren’t going well you’ll be glad you have some insight into why so you can adapt things for greater impact. Invest in doing it right. While internal podcasts can provide some very good “bang for the buck”, remember that production quality can go a long way in helping to engage people and to bring them back for more. Don’t skimp when it comes to production quality. As technology evolves, it will provide new ways to engage employees in the workplace. If you are considering integrating an internal podcast into your communication strategy, there are a variety of things to consider. That said, jumping in with both feet without understanding the full scope of what you may be getting into may not get you where you want to go. If podcasts seem to be a good addition, there can be some nice benefits to be had with relatively low effort.